Now that D23 Expo is promoting a lot of Disney franchises and movie goodies (from superhero movies like Thor: The Dark World and Captain America: The Winter Soldier to real life stories like Saving Mr. Banks), every fan seems to lose their focus because of so much geeky stuff. Every one is bombarded by huge titles like Maleficent, that everyone seems not to notice another of Disney's chilly offering titled Frozen, starring Kristen Bell and Jonathan Groff. The movie has just released a new clip and I am not quite sure if the movie would receive a warm welcome from the audience, or will it get the same cold treatment as its title. 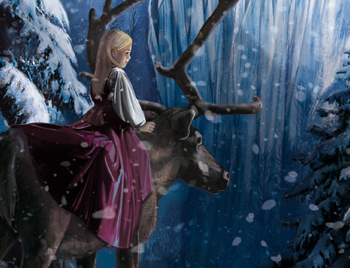 Watch the new clip of Frozen, courtesy of Walt Disney Animation Studios. Disney's Frozen will be released in cinemas on November 27, 2013.